Professor Emeritus, The Hebrew University in Jerusalem; Ph.D. in Health Professions Education, University of Southern California; M.Sc. OT, University of Southern California. Faculty member, School of Occupational Therapy, The Hebrew University in Jerusalem. 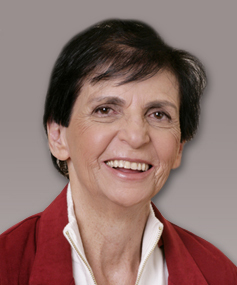 Served as chairperson of the Master’s Degree Program in Occupational Therapy, The Hebrew University in Jerusalem, chairperson of the Israel Society of Occupational Therapy (ISOT); founder and first editor of the IsraelJournal of Occupational Therapy (IJOT). Member of the American Occupational Therapy Association. Katz, N. (Ed). (2005). Cognition and Occupation across the life span: Models for Intervention in Occupational Therapy. Bethesda MD: AOTA Press. Averbuch, S. and Katz, N. (2005). “Cognitive Rehabilitation: A Retraining Model for Clients with Neurological Disabilities,” in Katz, N. (Ed).Cognition and Occupation across the life span: Cognitive Models for Intervention in Occupational Therapy. Bethesda MD: AOTA Press. Weiss, P.L., Kizony, R., Fientuch, U., and Katz, N. (20060. “Virtual reality in Neurorehabilitation,” in Selzer, M.E. (ed.). Textbook of Neural Repair and Rehabilitation.Vol II, Ch..13. pp.182-197.Cambridge, MA:Cambridge Press. Baum, C., and Katz, N. (in press, 2009). “Occupational Therapy Approach to Assessing the Relationship between Cognition and Function,” in a book edited by T. Marcotte, NY: Guilford Press. Katz, N. (1995). Neurobehavioral Cognitive Status Examination (COGNISTAT), Fairfax CA: Northern California Neurobehavioral Group Inc. 1995. Hebrew Translation 1997, Occupational Therapy Graduate Program, Hebrew University and Hadassah. New version 2007 adapted to Hebrew, Research Institute for Health and Medical Professions Ono Academic College.